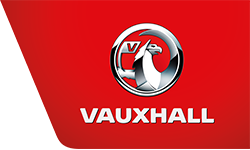 Vauxhall Meriva SE Specification includes: Bluetooth Phone Connectivity. Panoramic Glass Roof with Electric Sunshade. 17-inch Alloy Wheels with Locking Wheelnuts. Front Fog Lights. Daytime Running Lights. Front Centre Armrest with Storage. Front Underseat Storage Compartments. Rear Picnic Tables. Dark Tinted Rear Glass. DUE IN! Vehicle History: We have procured this LOW-MILEAGE and versatile Meriva directly from Motability, which means it boasts a FULL VAUXHALL SERVICE HISTORY. The elevated seating makes entry into and out of the vehicle much easier for many people. It also boasts FRONT AND REAR PARKING DISTANCE SENSORS, which make parking in tight spaces much easier. Further Specification Information: Air Conditioning with Air Recirculation Facility. FlexRail Centre Console System with Cup Holders and Storage. CD400 CD/Radio with USB Socket. Front and Rear 12v Power Sockets. Leather Steering Wheel with Fingertip Hi Fi Controls. Cruise Control. External Temperature Gauge. Trip Computer. Power Steering. Electric Front and Rear Windows. Electrically Adjustable Door Mirrors. Remote Central Deadlocking. Factory Immobiliser. Height Adjustment to Driver Seat. Reach/Rake Adjustable Steering Column. Driver/Passenger/Side/Curtain Air Bags. ISOFIX Child Seat Mountings to Outer Rear Seats. Electronic Stability Programme (ESP). Anti Lock Braking System. Front and Rear Headrests. 3 x 3-point Rear Seatbelts. 40/20/40 Split Rear Seats. Rear Map Pockets. Colour Coded Exterior. 5-speed Manual Gearbox.